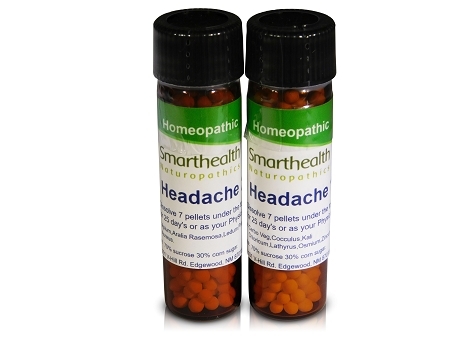 Chronic Headache Pain Relief Medicine.Naturopathic/Homeopathic Medication And Treatment. Long term headache relief formula. This is a 2 vial formula that will last for approximately 50 day's. This is not aspirin, it will not do much for immediate relief of headache. Buy this product only if you are looking for long term relief of headache. 100% natural homeopathic pellets safe for all people and children. 3 month guarantee. I'm personally very excited about this new product as we have just completed testing on one customer with measurable success! This person was getting recurring headaches every other day for several years. At this time he claims he isn't getting any headaches, but does gets a little feeling of pressure in the right side of his head which used to be what signaled a headache coming on. There is no drug contradiction with this formula so continue taking the short term relief medication that you are on currently. These statements have not been evaluated by the FDA. This product is not intended to diagnose, treat, cure, or prevent any disease. Directions: dissolve 7 pellets under the tongue between meals once daily from vial No. #1. Do this for 25 day's before starting vial # 2. and then follow the same directions as before or the directions of your Naturopathic Physician. Active ingredients: of vial 1.Carbo Veg, Cocculus, Kali Chloricum, Lathyrus, Osmium, Zincum Metalicum. Vial 2. Apium, Aralia Racemosa, Ledum, Primula Veris Senecio Aureus. Non active ingredients: 70% sucrose 30% corn sugar in non-allergenic pellets. This product is a 2 vial formula that needs to be taken in sequence vial 1. needs to be taken by it self for 25 day's or as your Naturopathic Physician directs you before starting vial #2 Dissolve 7 pellets under the tongue between meals for the 25 day's.